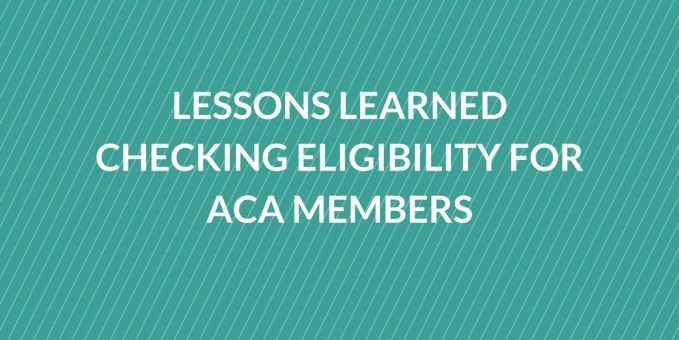 Over the past 2 or 3 years of fielding questions on eligibility for ACA exchange members, I’ve learned a few lessons that I want to pass along. While I’ve definitely seen a change in the level of education about ACA plans, there are issues that continue to arise consistently. I’m hoping the lessons I’ve learned below will help with a little of the confusion. The member paid their premiums for a few months and then stopped. The next month the payer puts the member into a 90 day “grace period” status awaiting the premium payment. Technically they still have coverage but at this point there’s a good possibility they won’t very soon. 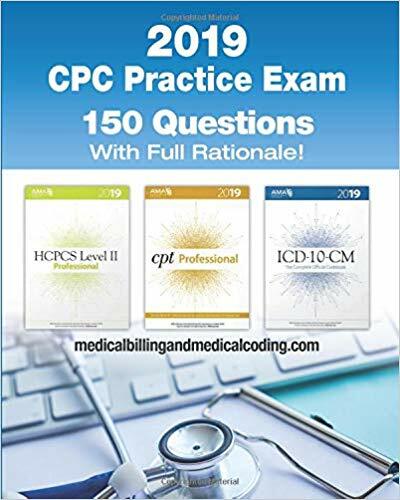 The person goes to the hospital or physician for services, the provider checks eligibility,and the eligibility response indicates the member is currently eligible. 2 months later, the payer terminates the member and back dates it two months. The provider’s claim gets pended and then rejected and they blame their eligibility vendor for giving them bad information. Just to recap,in most states the Affordable Care Act only requires the payer to pay claims for the first month of the grace period. This only applies to members that are receiving a federal subsidy/tax credit. If the member doesn’t pay their premiums, the insurance company isn’t going to pay for services incurred during the 2nd or 3rd month of the grace period. I can’t tell you how many conversations I’ve had with providers that are angry because their claim got denied due to a retroactive termination. Unfortunately this type of risk is part of participating in the program. If you’re lucky enough to have a copy of their card, the plan type is usually indicated there. Some eligibility vendors can help with this by adding flags to their responses to help identify these members. Some payers have made the decision to not identify these members but there are ways to tell with the larger payers. The group name or plan name can sometimes indicate the type of plan, Look for words like ACA, HIX, and Exchange in the group name. Also the metal names (silver, gold, etc) will sometimes be in the group name. Determining on exchange vs off exchange can be a little more tricky. On Exchange – refers to Individual and Small Group plans purchased through the Health Insurance Marketplace. Most payers have different plan names for on vs off exchange plans plus the network name may be different. I think many of the BCBS plans have different prefixes for on vs off plans. Knowing if the patient purchased their plan plan on or off the exchange can help you determine if the member is in a network that you have a contract with. Along those same lines, it will help you accurately calculate expected reimbursement. Some payers are better than others at identifying whether or not a person is in their grace period. If you’re still calling for eligibility, you’ll need to specifically ask that question. If you’re verifying eligibility electronically through a vendor or on the payers website, check the eligibility response for a “premium paid thru date”. I saw a payer website yesterday list it as “Deliquent as of”. If the patient is in their grace period, there’s a possibility you won’t get paid by the insurance company. The “paid thru date” doesn’t necessarily mean the member will be terminated on that date, but it’s good indication that there’s an issue. Insurance companies aren’t particularly sympathetic when it comes to paying claims for someone that doesn’t have coverage anymore. This is true for ACA plans as well as commercial plans. It doesn’t hurt to appeal but don’t expect UHC or Aetna to rush to cut you a check. The best way to cover yourself is to make sure the patient signs something acknowledging their responsibility to pay if insurance doesn’t. Once a patient enters the 2nd or 3rd month of their grace period, their claims will be held pending receipt of their payment. Your should be receiving notifications of these claims from your insurance companies. I’ve talked to several providers that have processes in place to proactively reach out to patients in their grace period. This probably isn’t practical for everyone but for hospitals with thousands of dollars at risk, this might be something to consider. I’m not talking about stalking them for payment or pressuring them to send their plan a check. A notice that their claims are pending waiting on their payment may help some patients prioritize their premium payments a little higher. I’m sure I’m preaching to the choir on most of theses lessons but I still run into people that are completely oblivious on how the ACA works. I’ve included some links to additional reading on ACA plans below. I’m curious to know your challenges with the ACA plans. Please leave me a comment below on the biggest challenge your organization has faced with the Affordable Care Act.